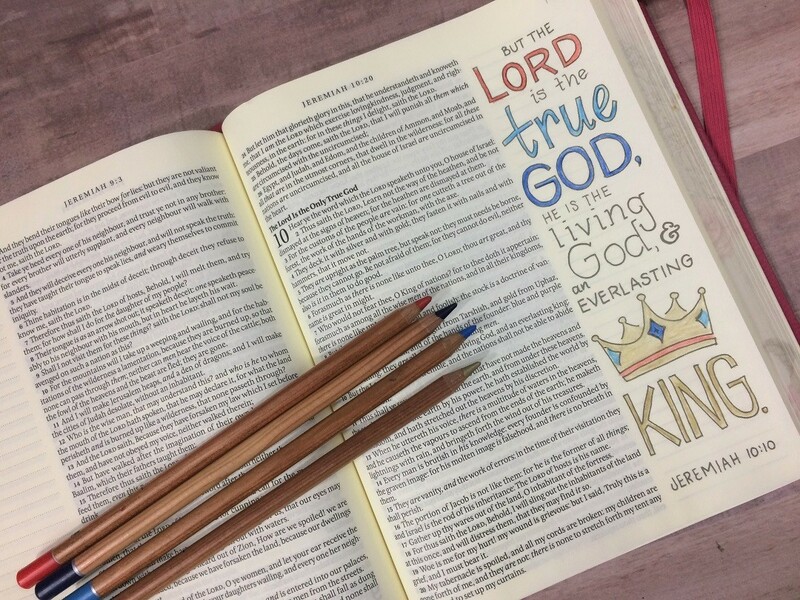 Colored pencils are a staple in Bible marking and Bible journaling. 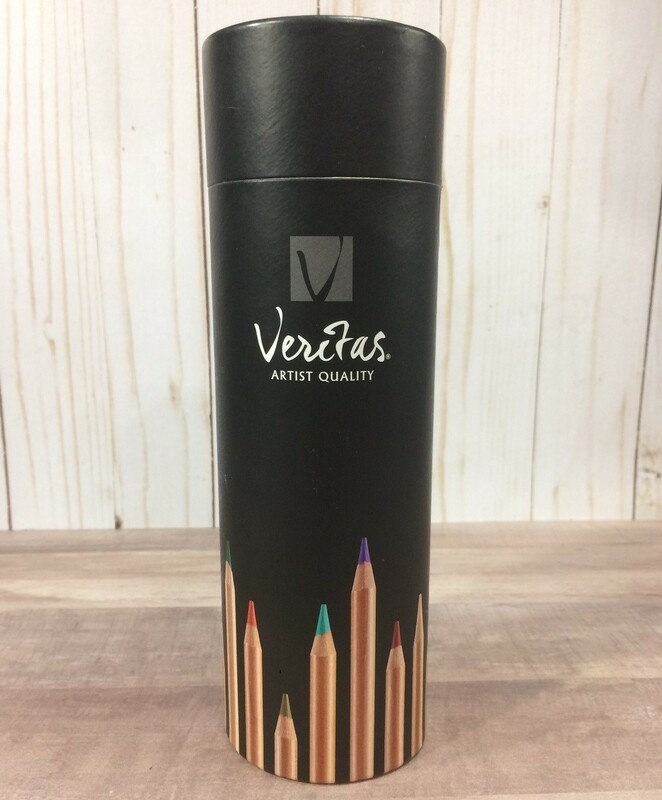 One nice artist quality set I like for carrying with me is the 48 piece Veritas colored pencil set. These smooth round pencils are made with incense-cedar wood and come pre-sharpened. 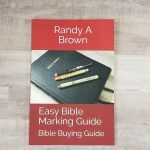 Links provided are to our reviews or to stores for purchase. 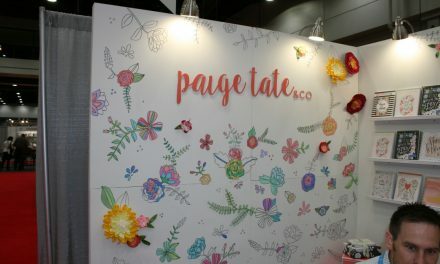 Most of the store links are affiliate links. 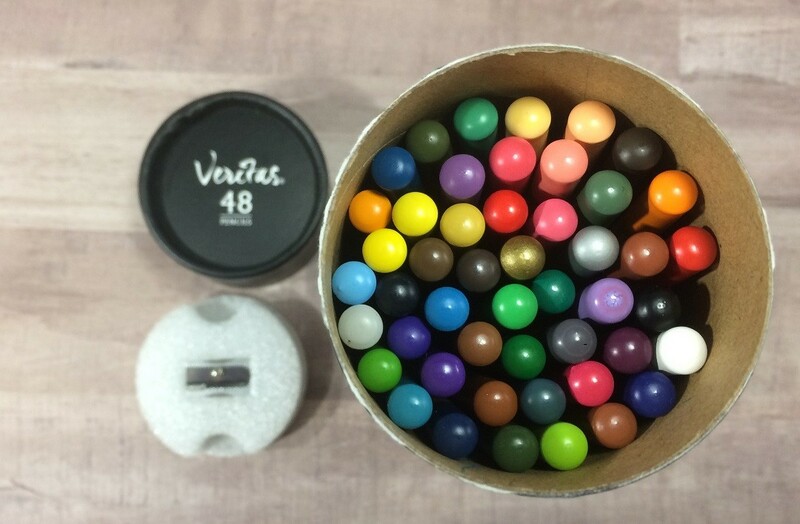 The 48 pencil set comes in a cardboard cylinder and includes a pencil sharpener stored in a foam disc at the top. 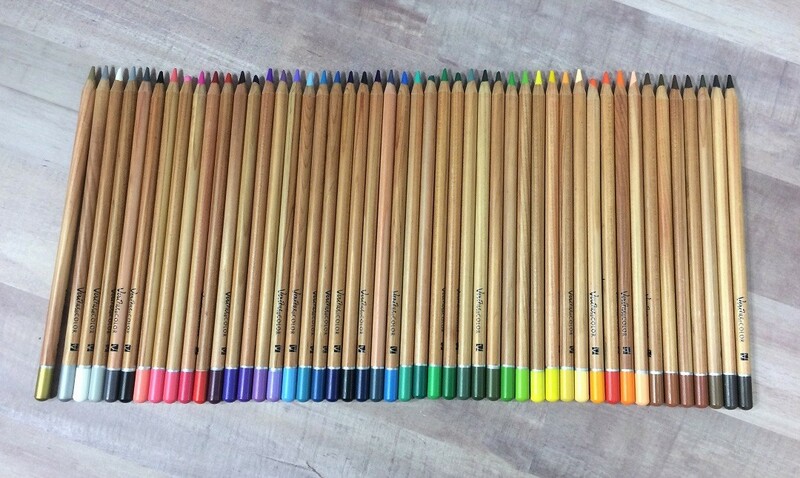 12 and 24 pencil sets are also available in cylinders or flat boxes. 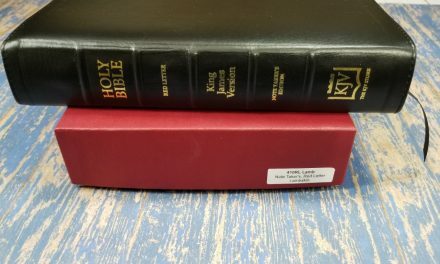 I like the cylinder-shaped box because it is really easy to tuck into the corner of a suitcase, book bag, or even most pocketbooks to have with you when you are away from home. The pencil sharpener is small and I put it back in the foam circle as soon as I was done with it to make it harder to lose. It did a smooth job of sharpening the pencils with no breakage. There is a nice variety of colors especially for doing nature or flower pictures with the large selection of greens. The only thing I would change about the set is to make the red more true red (instead of slightly orange tinted) and add a dark red pencil (in place of one of the blues, greens, or browns). I was able to create a lot more colors than the 48 by blending them. These leads are a nice medium hardness the combines blendability with durability. This is definitely my favorite when I have a limited number of art supplies. The softer the lead the better it blends but the easier it breaks. Hard leads almost never break and make crisp clean lines when sharp but don’t blend near as well. These leads are at a really useful spot between the extremes. 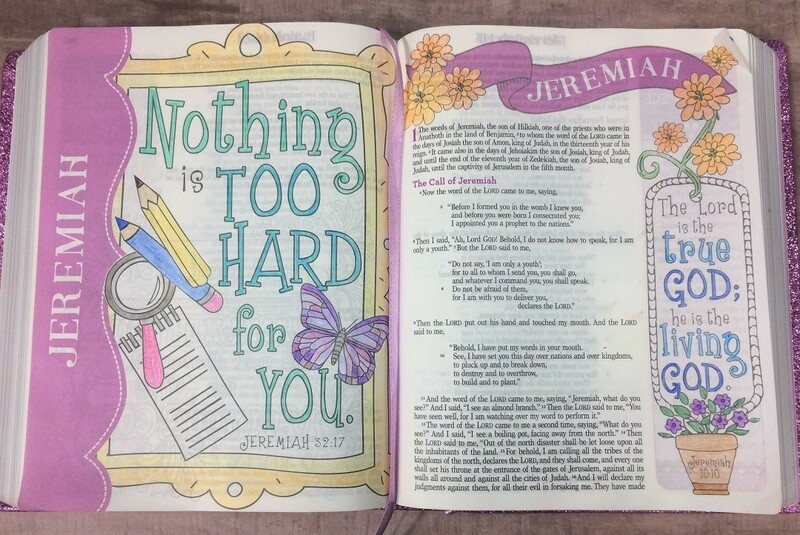 Colored pencils always work very well in Bibles so you don’t need examples to prove the point. I thought a few examples would be nice to show off the colors and coverage you get with these particular pencils. 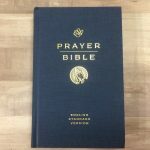 Here’s an example of them in use on a page in the My Favorite KJV Verses to Color coloring book. I did quite a bit of blending on the flowers. 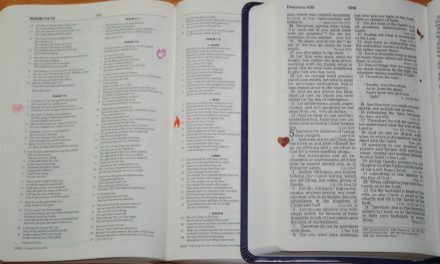 And here are two pages from the ESV My Creative Bible for Girls I colored with them. 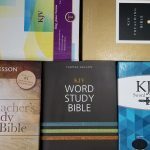 The pencils are highly pigmented enough that there is very little color change caused by the darker yellow tinted paper in journaling Bibles like the KJV My Creative Bible. The words “true God” in both of these examples were done with the same two blue pencils. 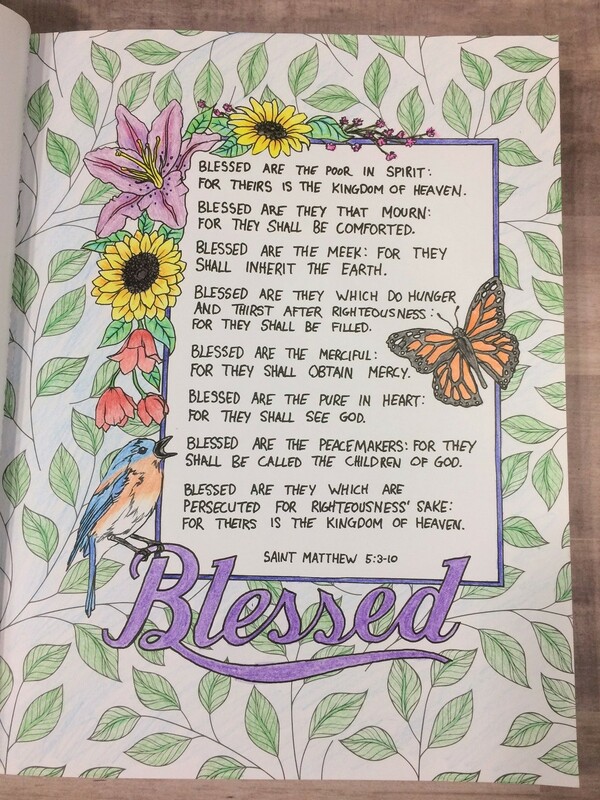 Colored pencils are a great first medium for Bible journaling. I started with them because I already owned a nice set, I didn’t have to worry about bleeding, and I had a chance to erase any mistakes. They are also a great medium for traveling since the only additional supplies required are a good eraser and pencil sharpener. The Veritas 48 Colored Pencil Set is a very nice set that I really enjoy using. 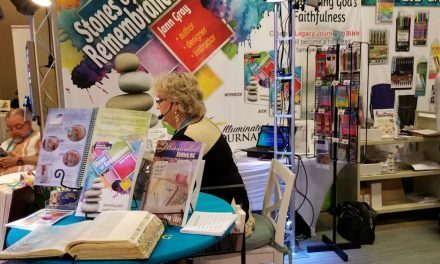 With a wide variety of colors, medium hardness leads, and a compact case, they are particularly nice for Bible journaling on the go.